The End-to-End Solution for Professional Services Companies. 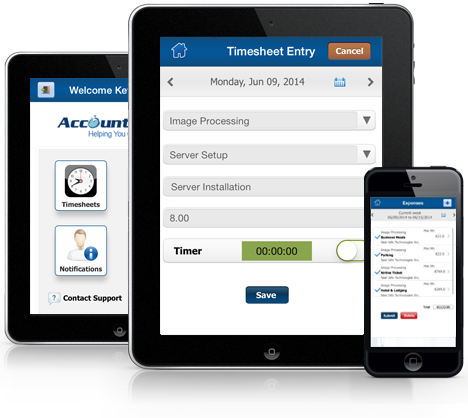 Easy to setup options and configurable features lets you get started in only few minutes. Providing Customer Support & Technical assistance around the clock through Email, Live Chat, Remote, Phone Call. Are you looking for any new option/feature, simply write an email with enhancement detail to us for customization. Try it before you buy it with 30 days fully featured free trial to test out all the features / options in AccountSight. A cutting edge Silicon Valley Fortune 500 company gains efficiency in managing project portfolio, tracking time and accurately forecasting resources using AccountSight.